What says ‘a great backyard Christmas party’ more than red ribbons? They are a symbol of happiness and good times, so don’t be afraid to use them! The best thing about them is that you can place them virtually anywhere and they’ll look good. If you also get some snow by then, they’ll make a great contrast. 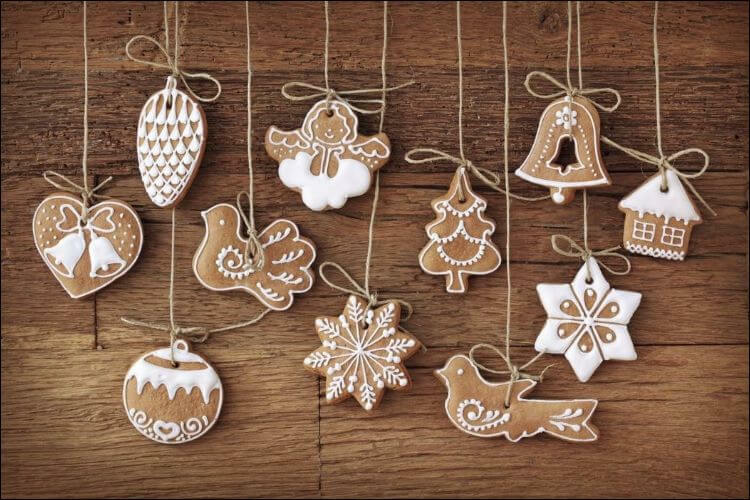 If you cut down a tree recently, it’s a good idea to use wood pieces as decorations. Stack them together in different corners of your backyard to obtain a rustic effect. If they are sturdy enough, you can improvise some seating out of them. This will come in handy if you have plenty of guests and don’t know where to seat them. If it’s Christmas, then it’s probably rather cold outside. In this case, one of the best backyard Christmas party ideas is to have a stash of blankets available for you and your guests. Red blankets would be perfect, but any other color will do as well. Make sure your guests know about them or they can ask you for one when it gets cold. Candy canes are some of the best outdoor Christmas decorations you can think of. They’re inexpensive and it’s easy to install them wherever you want. An original twist to the old look of the candy canes is to craft some huge ones and hang them around in the backyard. There are some ready-made canes you can buy from the store, but you can also craft your own. One of the most interesting DIY garden projects if you’re hosting a backyard Christmas party is to get real candy canes, cut and stick them together to form a bigger one. Then, you can either hang it on the door, by a branch or place them on the ground next to the trees. Alternatively, you can also make a candy cane wreath for the door. If you want to bring some color to a white background, a good idea is to use fir tree branches. 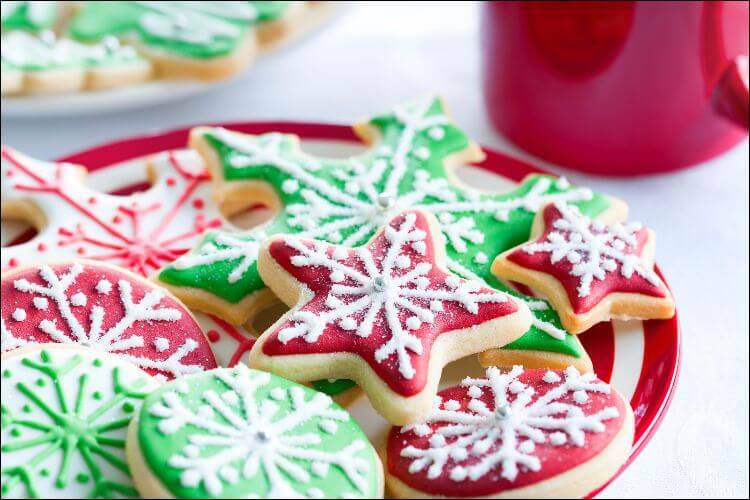 Their green color will brighten up the décor and will make it all look even more Christmassy. You can keep them simple and just place them here and there, or you can use other Christmas decorations on them. Decorate the branches with tinsel, red ribbons or yellow bells for a special effect. For those of you who already planted fir trees in pots or directly in the ground, a backyard Christmas party is the perfect occasion to decorate them. Do it just like you would do to your own regular tree. Add silver tinsel, bells, ribbons or place sweets in them. Children will love to go candy hunting and treat themselves. You can use chocolate, small candy, candy canes, gingerbread men, etc. A good idea is to make the sweets yourself if you want to impress your guests. 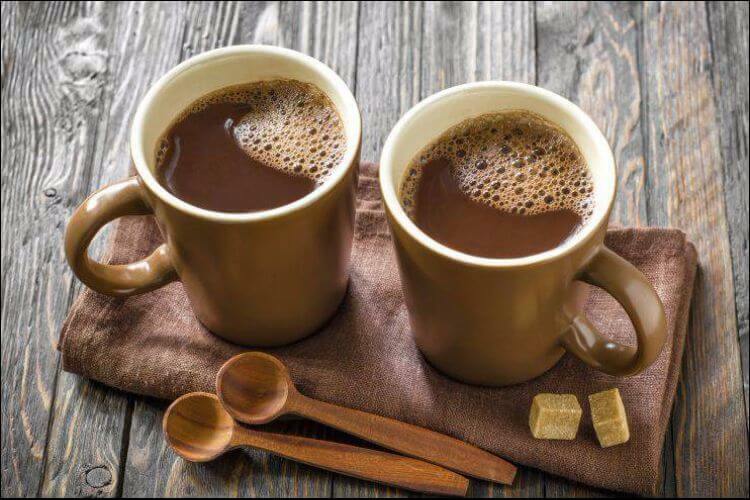 If you have an old closet or some wooden boards, you can easily turn them into a hot cocoa bar. Set up an area big enough to hold pots, cups, and plates. Make a big pot of hot cocoa and bring it outdoors. Then, serve your guests or let them serve themselves. Add some napkins and cup warmers. Remember to include special extras: cinnamon, cream, marshmallows, etc. Everybody has some ugly (Christmas) sweaters lying around, so why not take advantage of them and have an original theme for your backyard Christmas party? You can go for the classic option of making everyone wear the sweaters or you can be creative. Ask your guests to only bring them, not to wear them. Then, have them craft something out of them. An easy idea is to make stockings out of them and place your gifts in them later, but you can let your guests’ imagination go wild as well. A good idea that will engage all your guests (even younger ones) is a wreath-making contest. Supply your guests with all they need: tree branches, ribbons, berry sprigs, candy canes, pine cones, tinsel, etc. Don’t forget to include colored paper, glue, scissors or anything else they might need. What’s important is to ensure everybody has enough room to put their imagination into practice. If you want to be original this year and stray from the classic Secret Santa recipe, you can hold a random gift exchange. Ask your guests to bring wrapped gifts and then randomly distribute them. You can make them draw numbers and then get a certain gift assigned or use any other method to make sure gifts reach various people. You can even turn the gift exchange around and ask people to compete for the worst gift. Those who have a large backyard may already have a huge (fir) tree planted there. 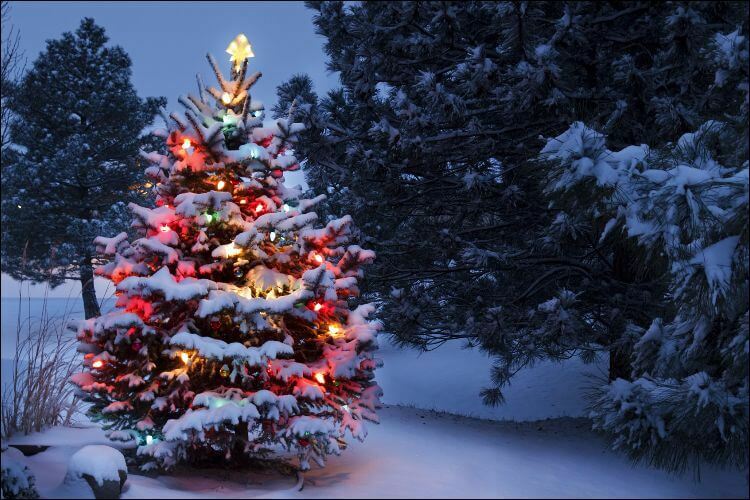 Make decorating the Christmas tree a special moment by asking all your guests to help you. Preferably, the tree shouldn’t be too tall, so you can reach the top. But even if it is, you can use a ladder and decorate it entirely. If you want to keep a decoration from each of your friends, ask them to bring one of their own. Make sure everything is set up before your guests arrive. Prepare the tree and take out all the decorations you want to use. 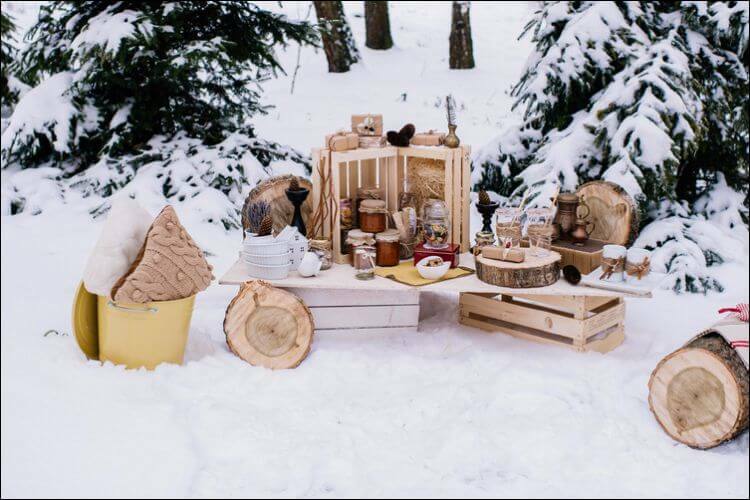 Though this activity needs to be done inside as well, you can take everyone out in the backyard to taste the result of their work. This is a great backyard Christmas party idea because it involves both children and adults. Just like the idea before, you need to make sure everything is prepared when your guests arrive. Mix and roll out your dough and set some pre-cut shapes. Alternatively, you can bring different cookie cutters. Remember to offer your guests a variety of decorations: colored sugar, candy pieces, etc. You can also set up some other activities while the cookies are in the oven, just make sure you don’t forget about them! Once they are done, you can take them outside and eat them or pack them away and give them to your guests to take home. Spice up your backyard Christmas party with a themed movie marathon. Luckily, there are plenty of movies to choose from. Set up a projector and a screen outside and make sure you have cozy seats for the guests. Provide them with blankets, sweaters, and hot cocoa to keep them warm. You can also pause the movie for a warming session indoors if they’re too cold. 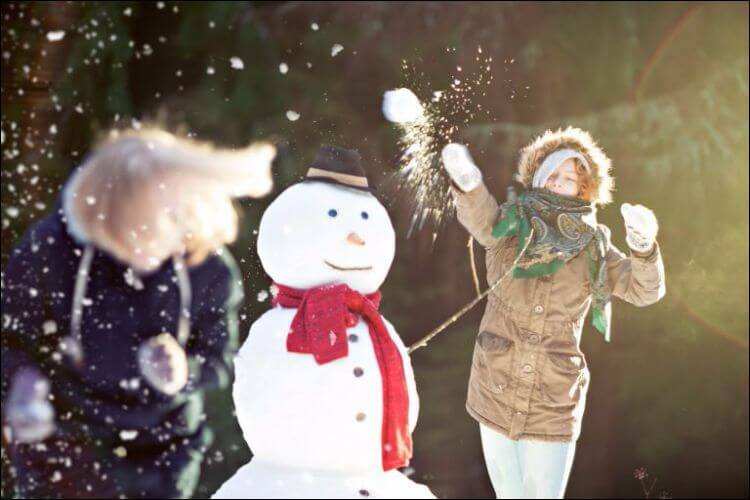 One of the ideas everyone will love is hosting a snowball fight. Provided you have enough snow, prepare the battlefield before your guests arrive. Set up forts, walls to hide behind, and you can even prepare baskets with snowballs to save some time. If you want to be truly prepared, you can provide your guests with some extra gloves, hats, and scarves. Finally, you can make the decorating process of your backyard part of the party. Just like with decorating the Christmas tree, take out the decorations beforehand and place them in baskets. In this way, your guests will have an easy time finding and using them. Hosting a backyard Christmas party may not sound like a great idea. however, you can have lots of fun if you know what activities to include. 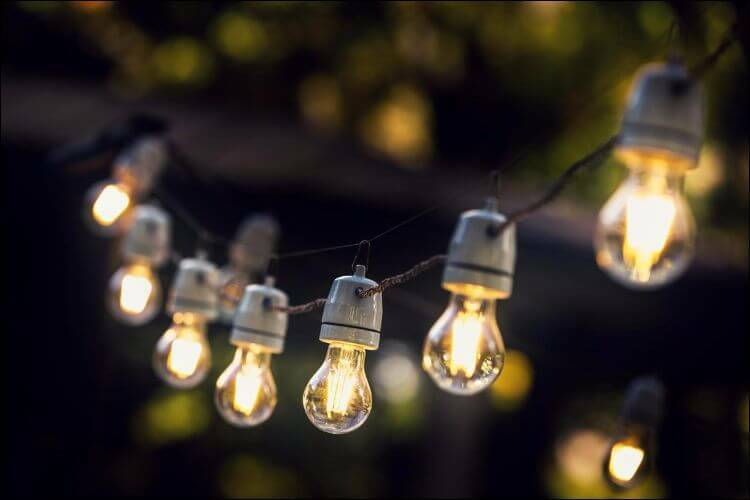 Luckily, there are plenty of creative ideas you can use, from setting up a hot cocoa bar, hosting a snowball fight or decorating your Christmas tree or backyard to making cookies and having a movie night.